Western governments need to accept the harsh reality that the Islamic Republic of Iran remains a revolutionary regime. The IRGC has responsibility over all ballistic missile programs and research and development. The West also needs to internalize that all decisions over ballistic missiles and associated delivery systems, the pursuit of a nuclear weapons capability, export of the revolution, aggressive support of the Shi'a ascendancy in the Gulf and militant acts of inhumanity towards their own people are made by the deep state. In short, the Iranian regime is much more Islamic than a Republic. The regime's most reviled and inveterate enemies remain Israel and the United States. Those Iranians opposed to the existing order have been broken physically and psychologically by a combination of regime cruelty and lack of support from the world's democracies. Despite the voluminous and biased reporting about the conclusions that should be drawn from Iran's recent Majles (Consultative Assembly) elections, the results signify next to nothing. Hundreds of candidates are disqualified from running by the Council of Guardians (COG) if they are judged to be opposed to the current Islamic regime, or on grounds of "moral turpitude" and other reasons that would be irrelevant in a true democracy. When given the limited choice from a thoroughly vetted set of pro-regime candidates, all of whom favor Islamic rule, the people will always vote for the more "liberal" of the alternatives. This is hardly surprising in a country where the existing martial, theocratic order remains highly unpopular. Whatever the balance in the Majles between hardliners and those members who may be a bit more flexible on some economic and social issues, it matters little. 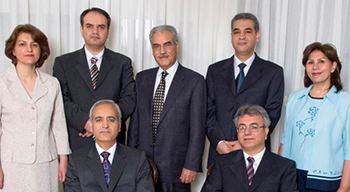 There will always be a significant number of deputies who are former IRGC (Islamic Revolutionary Guard Corps) men, and who will hector a President's cabinet members and political allies about decisions which run afoul of "deep state" institutions. The political superstructure of Iran's government is much like that of the former Soviet Union. The office of the President, the Majles, and the Civil/Criminal Court System have little real decision-making power in the Islamic Republic. They are more for show, for the people to let off steam, and for foreign observers who might imagine that from there, the seeds of democracy might take root. Similar to all of the illusions and wishful thinking of the past, the Rouhani era will not usher in an Iran which will conduct itself like a conventional member of the nation-state system. The aforementioned superstructure institutions will remain superficial. Indeed, they serve as screen for the deep state institutions, which will not evolve. The unelected leaders of Iran's deep state institutions are even more powerful today. No election has resulted in diminution of their power. These substructure institutions -- the Council of Guardians, the Assembly of Experts, the Ministry of Information and Security (MOIS), the IRGC's Intelligence Bureau, the Special Courts, and the Office of the Supreme Leader -- remain largely insulated from external pressure and domestic transitory moods. In short, the regime remains much more Islamic than a Republic. The regime's most reviled and inveterate enemies remain Israel and the United States. Moreover, those Iranians opposed to the existing order have been broken physically and psychologically by a combination of regime cruelty and lack of support from the world's democracies. The people, though sullen, appear resigned to their fate. The dispirited state of the populace has proven advantageous for the ruling clique of the regime's Praetorian Guard, the IRGC, the politically reactionary mullahs, and the economy's kleptocrat-bureaucrats to rule with virtual impunity. 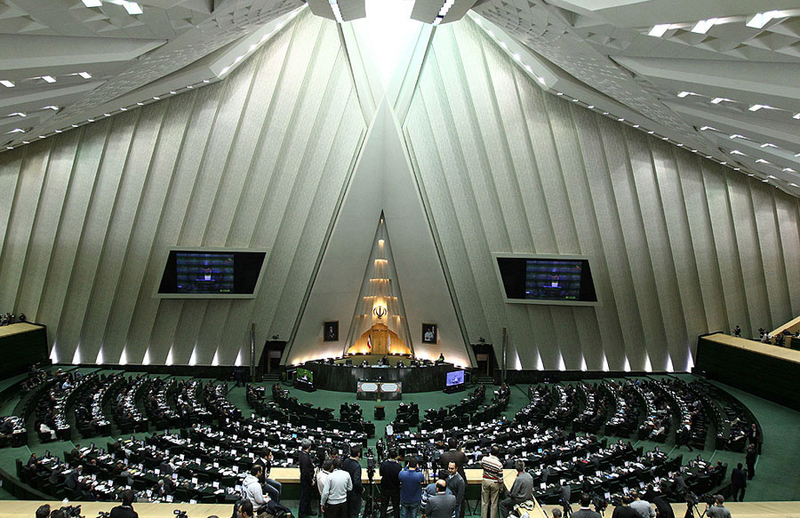 A Majles in Islamic governments is more of a consultative assembly rather than a legislative body. It is more of a sounding board for various political constituencies. In fact, the original meaning of the term referred to a Council of Tribes. "The Oxford Dictionary of Islam" by John Esposito, 2003, p. 187. In Iran, it is the Council of Guardians which (Shuraya-e-Negahban) decides whether any bill passed by the Majles is theologically compatible with the Koran and Islam. See "Who Rules Iran" by Wilfried Buchta, Konrad Adenauer Stiftung, 2000, p. 59.A slightly different version of this institution is the Loya Jirga in Afghanistan. "Who Rules Iran: The structure of Power in the Islamic Republic" by Wilfried Buchta. See Chapter III: "The Internal Political Struggle (1997-2000). All of Iran's previous six Presidents before Hassan Rouhani were victims of tense vocal challenges to Presidential and/or Cabinet level decisions. This was particularly true during President Khatami's two terms (1997-2005). See Michael Eisenstadt's Chapter on "Iran's Military Dimension" in "Iran Under Khatami," The Washington Institute for Near East Policy, 1998. "Islam and Revolution" by Imam Khomeini. Mizan Press: Berkeley, California, 1981. Imam Khomeini outlined in detail in his speeches and writings the Islamic Republic's worldwide mission to establish Allah's Kingdom on earth. Iran has dispatched thousands of troops, military advisers, militia warriors and spies to assist Shi'a causes in Syria, Yemen, Iraq, and Bahrain. See the HBO Film "For Neda" which focuses on the millions of protesters challenging the presidential election of Mahmoud Ahmadinejad to a second term in 2009. The film quotes the regime as claiming that the President had received 63% of the vote. During the student led protests in 1999 and the widespread national demonstrations after the fraudulent re-election of Ahmadinejad in 2009, the world's democracies amounted to muted vocal support. The Arab world has commented that it took the US only 40 days to liquidate Saddam's army, therefore the only reason the Daesh (ISIS) regime is still in place, is the unwillingness of the West to destroy it. Frankly, the comments have solidity. I suspect the cold calculation is that Daesh needs to be prevented from expanding worldwide, but is an excellent replacement for Saddam as counterweight to a too strong Iran. Therefore the limited warfare against Daesh, and the actions by the West to delimit Iran to non-nuclear capability. Plan B involves Turkey (not a solid partner) or Egypt (not solid either). Plan D might involve Israel. Plan C definitely involves Sa'udiya. Would it surprise anybody I forecast such a multiplicity of small wars (as opposed to major world wars) for the current century some 30 years ago? Just like his run away from Iraq and Syria, where 500K people have died, many Iranians pay for the decision of the President to legitimize and embrace a fanatically genocidal mullocracy. The alien terrorists as he call them. This is the closest I can come to his definition of terrorists from another planet!!! They have nothing to do with Islam, Islamism, Islamization or Jihadism. Yet they are apparently Muslims. Perhaps this is his version of Islamic Social Justice! Dr. Lawrence Franklin has spoken plainly about the reality of Iran. Sadly the deposed Shah was a little to kind to Khomeini way back. Execution rather than exile might have sent a clearer message to the great unwashed ignorant superstitious peasantry led by manipulative so called 'Holy Men'. Allowing Kohmeini to live in exile simply gave rise to the power of the current regime. For all the Shah's showmanship i.e. the grande party given on the ruins of Cyrus the Great has never done as much harm to Persia as the current madmen, aping Hitler. During the Shah's reign if one can call it this one must give the Shah credit for wanting to set an example to the whole of the middle east by dragging Persia into the 21st Century. His goal was a secular Middle East as was the desire of Egypt at the same time. Wahhabi Arabia, was still as despotic but with a lot less power. 1973 was the year the sword came down on any hope of a secular Middle East. When will people acknowledge that the term "Islamic Republic" is a pure oxymoron. There is nothing about a republic in the function of Iran. There is the face of a republic in that there is an elected assembly, but the assembly has no real power. Power lies in the hands of the Mullahs. This is a theocracy with only the irrelevant veneer of a republic. This, of course, is typical of most Islamic countries throughout history, and it is expected under Islam. Islam places the dictates of religion (only the religion of Islam, of course) above any secular entity. Under Islam, religion has power over the state. Islam is in fact a theocratic political system, and the West needs to understand this and deal with Islam as a political system instead of a religion. The most serious mistake made by Western commentators, journalists, and even some academics is to assume that the regime has its roots in Khomeini's doctrine of Velayat-e faqih, which is a fairly modern idea. In fact, the victory during the late 18th and early 19th centuries of the Usuli form of Twelver Shi'ism over the traditionalist Akhbaris is what set Iran off in this direction. The Akhbaris rested authority in he sacred traditions, but the Usulis relied on the power of individual mujtahids as authorities in each generation. This led to the rise of ever-more-powerful clerics, culminating in the maraji' al-taqlid, and this in turn resulted in the idea of the supreme leader (so far Khomeini and Khamene'i) and the introduction of the ayatollah title. In other words, the idea of the supreme clerical leader backed by other high-ranking clergy has been very deeply embedded in the national and religious culture for some 200 years. It can only be eradicated by elimination of the entire clerical structure – and that is something beyond the powers of Western governments to achieve. The only hope is for liberal Iranians to overturn the regime one day and then punish the clergy by removing their power or even taking them out of the picture entirely.